It might not grab the headlines like it used to, but Groupon has grown quietly over the years to become the Web’s #1 destination for discounts and savings on consumer goods and services. So big in fact that Groupon now boasts more than 9,000 retail partners and offers more than 70,000 discount coupons on any give day, for a wide range of products and services, including some of the biggest brand names around. For example, Groupon has recently teamed up with companies like Adidas and Nike to offer up to 50 percent off of their range of sneakers. 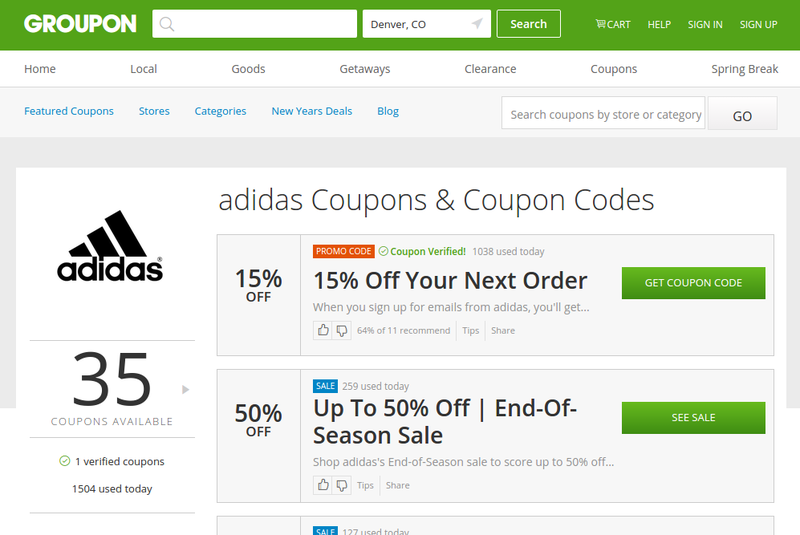 Check out Groupon’s Adidas page here for more details.